Join Quokkas, Tattie and Tiny Spud as they head outside for lots of fun. 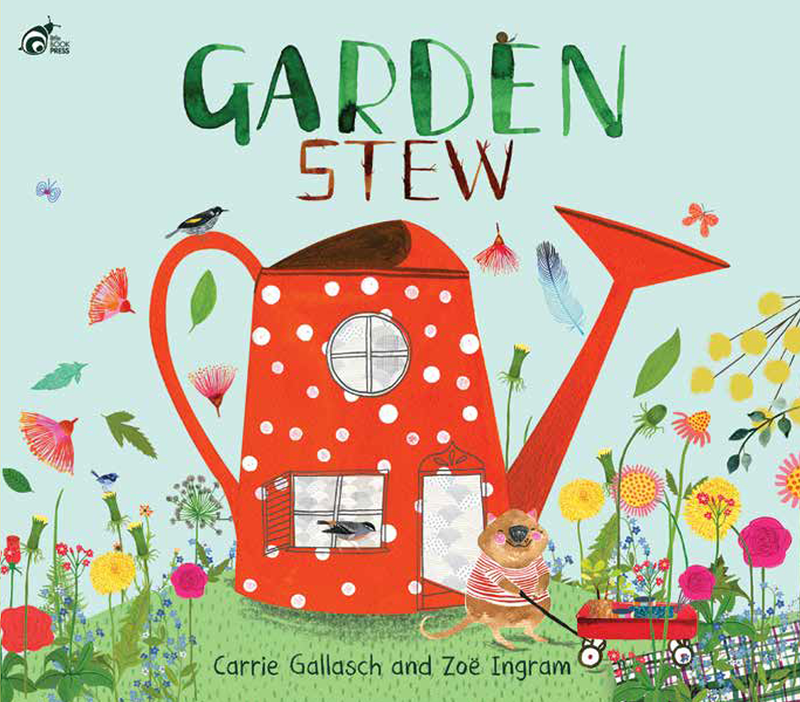 A pot, some sticks and petals too, it’s time to make garden stew! Reminiscent of making mud pies in the backyard.